ezTalks supports to set up a paid webinar. 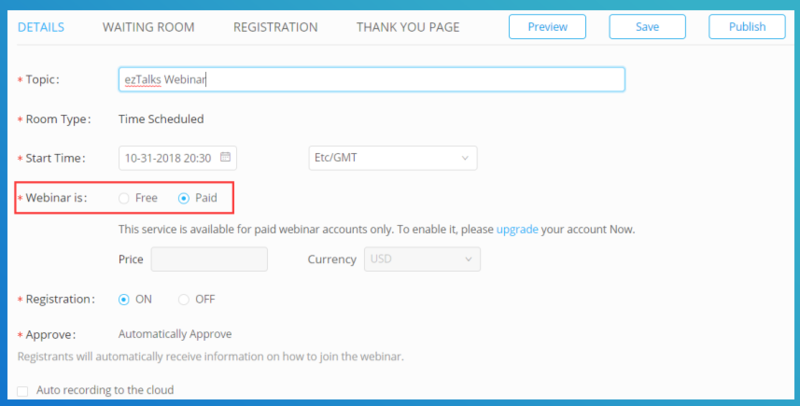 You can charge your audience a fee to register for your webinar. Here is an article about how to schedule a paid webinar. 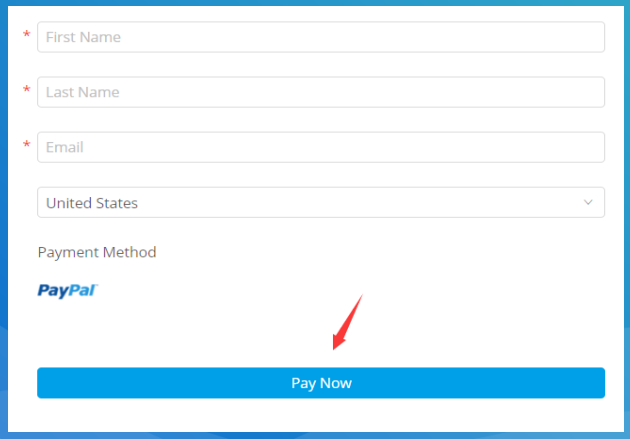 Step 3 Add your PayPal account and input the price and currency. Step 4 Continue to finish the other sections of Waiting Room, Registration and Thank You Page. You can refer to the Quick Start Guide to schedule a webinar. Once the participants pay, the registration is finished as well. They will receive a confirmation email with the guide of how to join the webinar.